On the 22nd of August Google officially rolled out Android 7.0 Nougat. The update is currently only available for Nexus users, but rumor has it that many other flagship devices will get the new Android version before the end of 2016. It’s important to decide beforehand which of the announced features can be useful for business apps and what is required to improve with respect to the new functionality. Android 7.0 supports roughly 250 new features. Not all of them are equally essential. We have chosen a few that can inspire business owners to update their apps to Android Nougat in order to use all of its advantages for engaging new users and increasing customer loyalty. 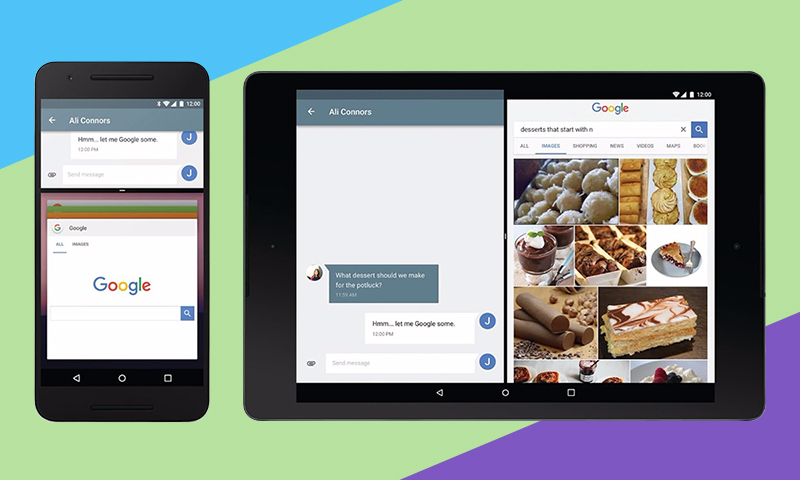 Android has now become more convenient for users that are used to performing several tasks simultaneously. The most desirable function for many of us is a Split-screen mode. Frankly speaking, this feature is not new. However starting from Android Nougat, it’s becoming available on different devices. It allows opening two apps side by side. By dragging the dividing line between apps, you can resize the space of each open window. Users can run two apps side by side and use them together. For example, it is possible to drag photos from the gallery to a messenger app, watch the calendar while writing an e-mail or calculate your expenses when checking the list of purchases in a shopping app. Multitasking helps to reduce the need for extensive functionality to be built into an app where ready made solutions exist. You can now concentrate on app’s main functions. This can reduce app development costs and allows business to keep additional functionality low. You need to adapt how the app UI changes to changes in the opened window space. Split-screen mode is supported by the majority of apps by default. In order to display an app in multi-window view, you need to update and reset it. Apart from this it’s possible to implement the drag-and-drop feature in supported apps. For instance, if you use an app for image processing, you can run it jointly with the gallery and drag photos from gallery to the app and vise-versa. This enhances the user experience and makes the UI even more user-friendly. Notifications have become easier to develop and much more convenient in use. Developers can style app notifications, configure the message, conversation title, and content view. 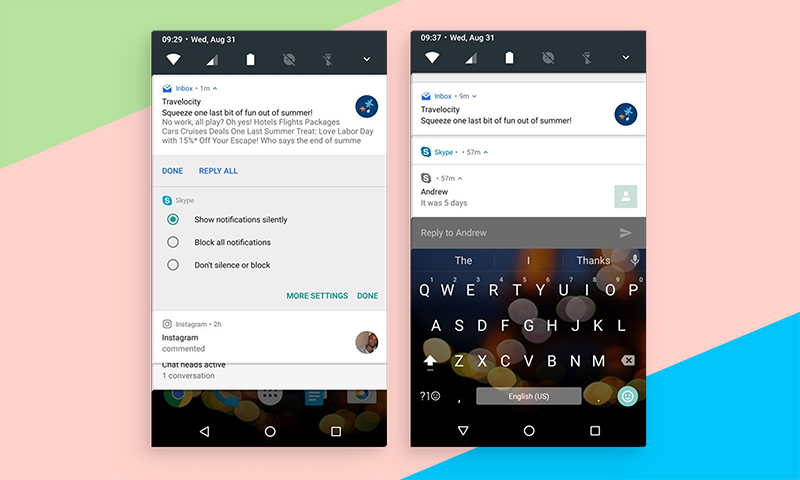 Moreover, for real-time communication apps, Android Nougat supports inline replies so that users can respond to a message directly within a notification. Users get a convenient way to interact with apps. They can see detailed notifications and make some actions within the notification interface. In other words, when a user get a notification from various apps while running others, it’s easy to reply directly from the notification without interrupting their current task. For the business, updated notifications serve as a way to retain app users and increase the return rate. In fact, new notifications are an additional point of interaction between app creators and their audience and are able to be an advertisement for the app. Now you can customize it to stand out among competitors. 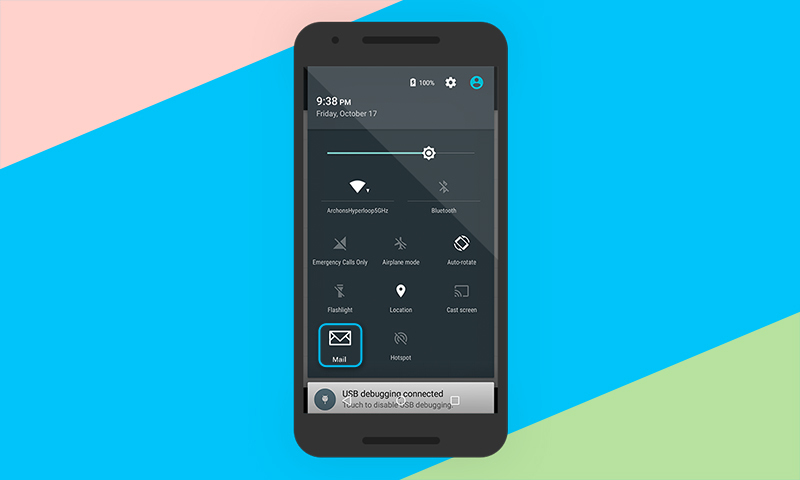 Notifications can be customized in accordance with the general app design concept. They become even more recognizable and each time remind users about your app if it isn’t used at the moment. In addition, you can set up an app to pull notifications together into one group. Users can see the list of the app notifications and read them one after another. Therefore your notifications will never be lost. You can swipe down from the top of the screen twice to fully expand the Quick Settings panel. Android users have gotten used to such a helpful and important menu where they can always find the most required features and tools. Android 7.0 Nougat allows users to add new tiles to Quick Settings without taking any additional measures. Users can not only put additional tiles to the Quick Settings but also control the set and the placement of elements on the panel. Thanks to the new open API it’s possible to add to apps the setting of creating customized tiles for the Quick Settings menu. It doesn’t require any integration with specific apps like in former versions of the operational system. It gives users access to key controls and actions in the app. You should define your own tiles for the actions usually taken by the users. For example, if your app is an e-mail service, it’s better to create a tile to open up the e-mail quickly. The majority of Nougat features are available by default. So there is no need to adapt an app for it to work correctly. However, some functional changes can disrupt the operation of the app and they require you to update the app to Android 7.0. Apps targeting Android 7.0 have improved protection of the private directory. This setting helps to prevent leakage of metadata of private files, such as an file’s size or existence. It secures users from other apps accessing their personal data.This means that there is no permission in the apps to know whether there is a file in your private directory or not. The file system permission changes have to be considered by app creators if your app uses data from other apps. For example, photo or video. Improved security prevents illegal access to private files and forces a business to add into an app the foundation for compliance with security rules. Before Android Nougat came out mobile apps were able to modify permissions to their files inside the private directory. Now your app can crash after an attempt to share or send a private file to another app. The recommended way to share the content of a private file means using the class FileProvider. 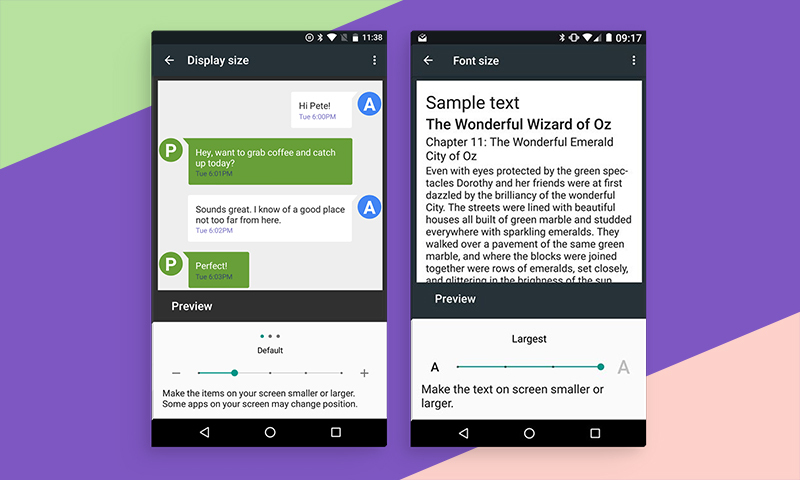 Android users have an opportunity to increase the font size on their devices. With a new version of the operational system, you can also change the whole display, including size of icons, buttons and all other controls. It helps users including those who have vision problems to see small elements on the screen. It provides the loyalty of users who are going to work with apps in a mode of increasing scale. Users can increase display size only until a particular level equal to the Nexus 4 screen size – sw320dp. That’s why you need to test the app on devices with the display width sw320dp to check whether all of the app sections will be displayed correctly while increasing the scale. If you didn’t update an app to the new version and a user with a device on Android 7.0 runs the app and change the display size, the app will crash and restart. In order to avoid similar situations, it’s better to adapt your app to Android Nougat. Then users will successfully change screen settings. Data Saver stops apps from sending or receiving data using mobile internet traffic. When a user turns on the Data Saver mode, it is forbidden to send network requests to all apps working in background mode and not included in a whitelist. It also limits an app’s data usage when being actively used. This mode can be supported only by apps updated to Android 7.0. It influences indirectly the user engagement. In other words, if a business follows the latest trends in mobile development, it helps the app to perform tasks effectively and distinguishes the app among others. Google recommends all app creators reduce the required internet traffic while an app is running with Data Saver turned on. 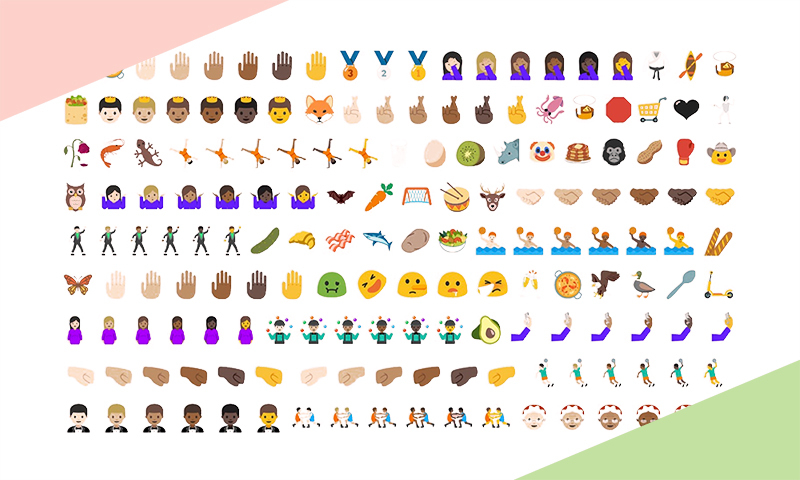 Now Android 7.0 includes 1500 emoji! Some of them can change a skin color with respect to race. It simply allows varying the number of expressed emotions. Opportunities for emoji application has become wider. Now emoji are not only available for users, but also for app creators who can apply them as additional elements in push notifications. If you want your app to display and use a new set of emoji in a proper way, you need to add the supported feature to the code. The main advantage of Android 7.0 Nougat relates to increased attention to needs of users. It opens up various opportunities for app creators. On the one hand, it’s possible to reduce a budget for app development and not overload the app functionality. On the other hand, it’s possible to style the functional elements of the operational system such as notifications and Quick Settings tiles. Some benefits work for apps only if developers make improvements regarding Android 7.0 features.